Two people died in two separate incidents, and a third suffered life threating injuries, in what was a dark day for workplace safety in Victoria yesterday. 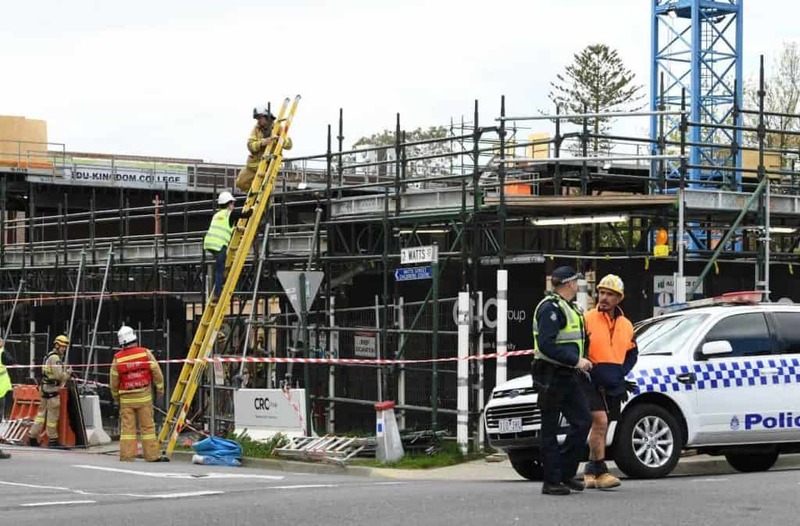 A man in his 40s died when he was struck by a kibble containing wet concrete which fell from a boom crane at a construction site in Box Hill shortly after midday. A second worker aged in his 20s received life threatening injuries in the incident, and a third received non-life threatening injuries. The men were working in a pit at the construction site when the incident occurred. Its highly likely that all these men had a Construction Induction Card (White Card Training Melbourne) which is a legal requirement for them to work on construction site in Melbourne. WorkSafe investigators, including crane experts, returned to the scene today and will conduct a thorough examination of the crane and the systems of work used at the site. WorkSafe Acting Executive Director of Health and Safety Paul Fowler said it would take time for the exact cause of the incident to be established. In a separate incident earlier yesterday, a woman in her 40s died when she was run over by a prime mover loaded with an excavator at Donvale. It is believed the woman was struck when the truck, which was parked on an incline, started to roll. A man in his 50s received non-life threatening injuries in the incident. Mr Fowler said yesterday would be remembered as a dark day for Victorian workplaces. “These are horrible tragedies for the people involved, their families, work mates and friends,” he said. After yesterday’s tragic events, the number of confirmed workplace fatalities in Victoria for 2018 now stands at 18, which is the same number as this time last year. The more qualified you are, the more you’ll be paid. That’s usually how it works. By receiving your White Training Melbourne from COVE Training you will have taken the first step on your road to becoming a construction master. Call us today on (03) 8773 9000 or book your white card training online. To learn more about all of the programs we offer and find out how you can become a leader in your industry contact COVE today!